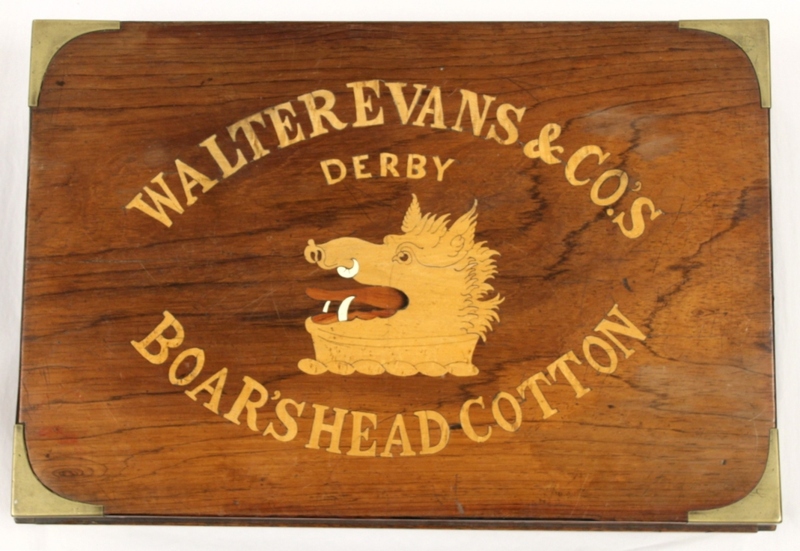 Derby Museums have bought a 19th century brass-bound mahogany box, with the lid inscribed in marquetry “Walter Evans and Co’s, Derby, Boar’s Head Cotton”. 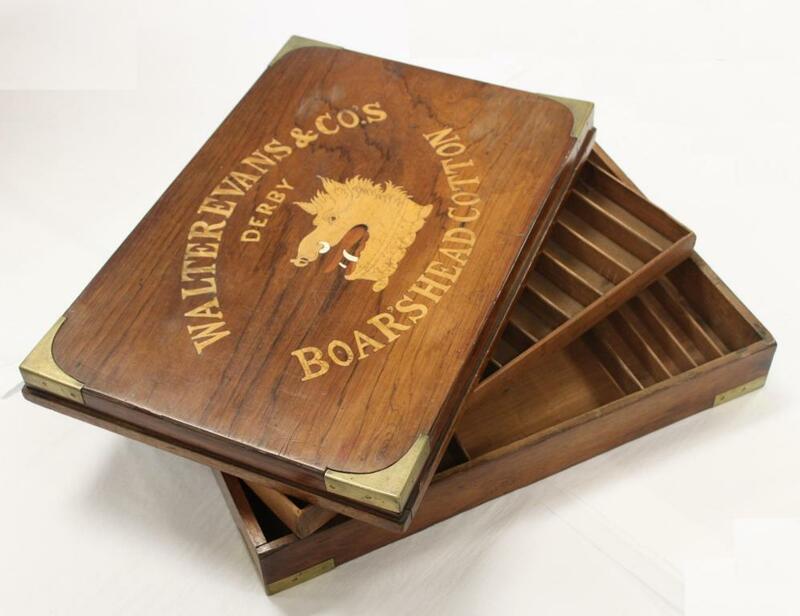 The box also bears the boar’s head logo and would have been used for storing cotton supplied by the mill in Darley Abbey. The Boar’s Head Mill was established by Thomas Evans in 1782. The Evans family seem to be the first in the Derwent Valley to recognize the commercial opportunity of having a retail outlet, serving local people with sewing and knitting cottons, embroidery threads and materials. Earier in the project Derby Museums also bought an early 20th century cotton reel from the mill.